I was freaking out about getting married. I had carved out a decade as an indie filmmaker, and I valued my independence in all matters. I wasn't going to be a traditional, self-sacrificing wife and mother like my own mom. I liked my life being all about me. Then, in 1993, I was on the Sundance Documentary Jury and we screened Silverlake Life: The View from Here. 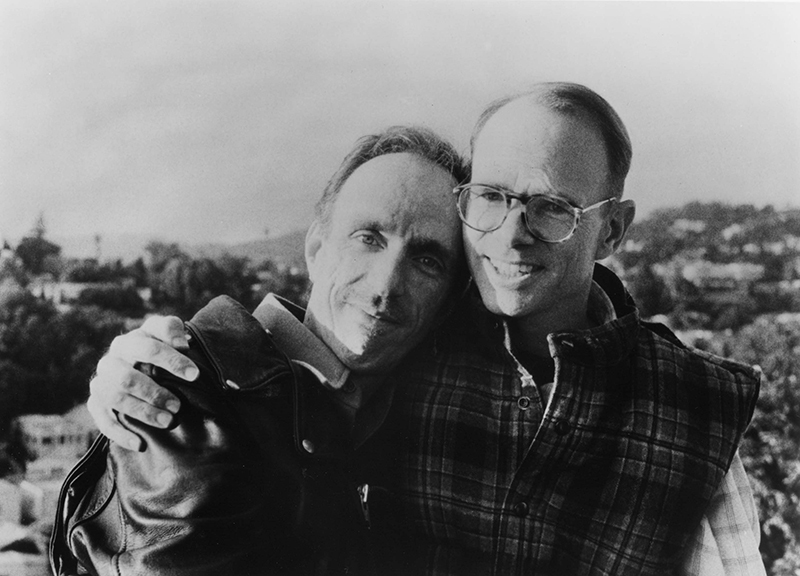 Filmmaker Tom Joslin began to shoot the camcorder diary when he and his partner, Mark Massi, were diagnosed with HIV. When Tom got too sick, Mark took up the camera. In the end, one of Tom's former students, Peter Friedman, completed the film. A portrait of enduring romance and impending death, Silverlake Life blew me away. It showed me what it means to be married, and the meaning of what we do as documentarians. The film captures everyday moments, drifting between memory, medical exams, a tortured family Christmas and, always, the love between the two men edging out the utter sadness. There is a long take as Tom films Mark dancing with abandon to "Take My Heart Away." I couldn't take my eyes away, as if I was looking through Tom's lens with the contentment of a parent gazing at her newborn. The clincher was a scene toward the end of Tom's life. We hear Mark—the unwavering caregiver who is also in decline—in tears off camera as he films, berating himself for giving Tom food that he could not keep down. I always perceived the vows, "in sickness and in health," to be knee-jerk and saccharine, most likely a guise for wives serving their husbands. But Tom and Mark's relationship embodied those vows in a profound and devastating way. Silverlake Life also taught me a thing or two about filmmaking. For one thing, even in the grimmest of situations, there is joy and humor. In one of the film's final scenes, Mark makes a mess as he transfers his partner's ashes to an urn: "Tom, you're all over the place!" Silverlake Life took me inside Tom and Mark's lives and most intimate moments. That is documentary's transformative power. How did a film about two white men change me, a woman of color whose work centers on race and equality? My commitment to social justice filmmaking is shaped as much by my own failings. When I was a teenager growing up in Los Angeles, my friends would sometimes announce on a Saturday night, "We're going to go to Hollywood and roll some faggots." I would think to myself, Oh, that's stupid—and I never took it any further. Here I was, a politicized student activist, deeply involved in movements against racism. In a few years I would make a film about a hate crime, Who Killed Vincent Chin?. But violence towards gay men at the time was so normalized that I failed to grasp the outrage of their acts. Today, my own teenage son recognizes homophobia when he sees it. There has been a tremendous cultural shift since I was his age, fueled by the LGBT movement and brought to life by films like Silverlake Life. And so, in reflecting on my own work, racial diversity on- and off-screen means a lot more to me than proportionate numbers. I've seen how films from the inside can change consciousness, and move history. Silverlake Life was not only my role model for marriage, it went a long way in teaching me how to be human.